2013 Reprint of 1891 Edition. Exact facsimile of the original edition, not reproduced with Optical Recognition Software. Arthur Schopenhauer, an early 19th century philosopher, made significant contributions to metaphysics, ethics, and aesthetics. His work also informed theories of evolution and psychology, largely through his theory of the will to power - a concept which Nietzsche famously adopted and developed. Despite this, he is today, as he was during his life, overshadowed by his contemporary, Hegel. 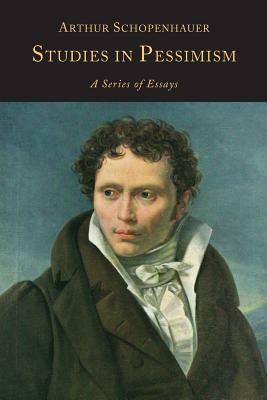 Schopenhauer's social/psychological views, put forth in this work and in others, are directly derived from his metaphysics, which was strongly influenced by Eastern thought. His pessimism forms an interesting and perhaps questionable contrast with his obvious joy in self-expression, both in the elegance of his prose and in his practice of playing the flute nightly. His brilliance, poetry, and crushing pessimism can be seen immediately in this work, as for example in this claim from the first chapter: "The pleasure in this world, it has been said, outweighs the pain; or, at any rate, there is an even balance between the two. If the reader wishes to see shortly whether this statement is true, let him compare the respective feelings of two animals, one of which is engaged in eating the other." We see also, in this work, his misogyny, as for example in his claim that "as lions are provided with claws and teeth, and elephants and boars with tusks, . . . so Nature has equipped woman, for her defence and protection, with the arts of dissimulation; and all the power which Nature has conferred upon man in the shape of physical strength and reason, has been bestowed upon women in this form." Given his opening comment, the translator, T.B. Saunders, seems to have been at least somewhat sympathetic to this perspective.